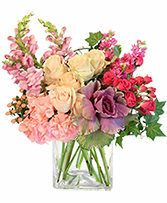 Let THE WILD BUNCH deliver this fresh Berries 'N Cream floral arrangement for you. 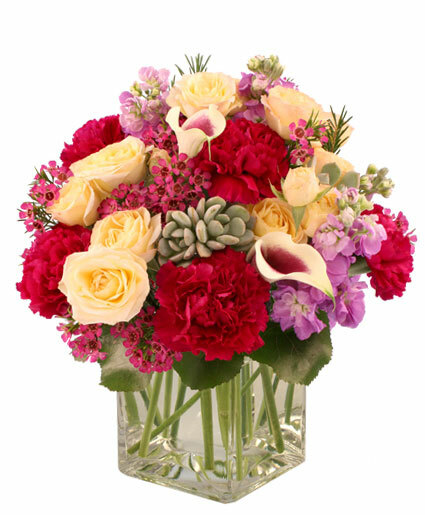 With eye-catching mini callas, carnations, mini spray roses and stock, it's a sweet way to brighten their day!! 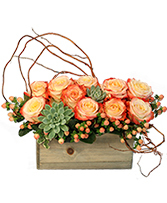 Let THE WILD BUNCH deliver this Peaches & Cream arrangement for you. 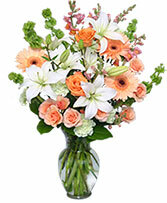 It's a sweet way to brighten their day! !